Chocoholics rejoice, Cocolat has the answer to all of your chocolaty desires. Cocolate Dessert Cafe provides a cosy corner in Adelaide's East End that will warm your insides with its many chocolate based foods and drinks. Their hot chocolate can be the perfect cure for a cold day, Choose between the Cocolat hot choc, white hot chocolate, chili chocolate, mocha, and top deck. They're even all made with real chocolate, there is none of that fake powdered stuff here. You can also find your fair selection of teas and coffees at Cocolat, as well as the cooler options of their gelato milkshakes or frappes and iced drinks. If you're looking for more of a late night drink then try one of their amazing chocolate filled cocktails, a chocolate martini, the Cocolat, or a sorbet daiquiri. If you're not salivating yet then perhaps some of their food will excite you. Cocolat boast a great range of crepes and waffles. Think crepes oozing with three types of chocolate, rocky road crepes, strawberry chocolate crepes, and the delicious banana crepes. Its enough to make your mouth water. 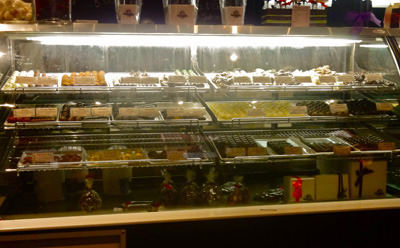 Rich chocolate cakes and chocolate truffles fill their display cabinets, each proving to be more indulgent than the other. You can choose to enjoy them in store, or take them away for a special occasion. If you're looking for something to cool you down, then Cocolat also have an impressive range of gelato and sorbet for those warm summer nights. Cocolat are open 10am till late daily, but crowds can sometimes mean it is a bit hard to get a table. Expect a wait on some nights. 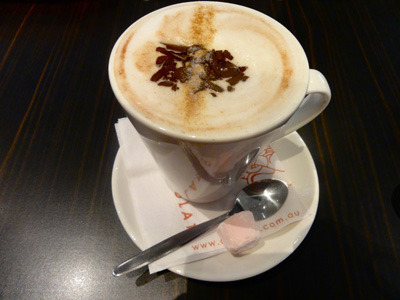 Cocolat have two other locations at Adelaide Airport and Balhannah.